Signs By Benchmark took foam-core letters to another level during a recent collaboration with Midtown Signs. Together Wichita, a community organization, was looking for a mobile sign to use at events to celebrate its city and serve residents. 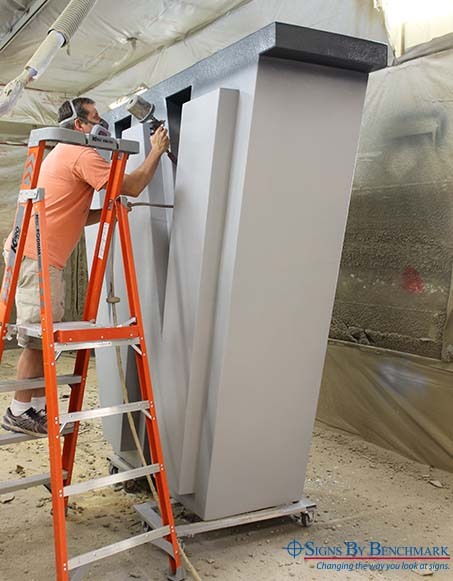 To accomplish the mobility without sacrificing durability, Midtown Signs contacted the Signs By Benchmark team to discuss the life-size project. 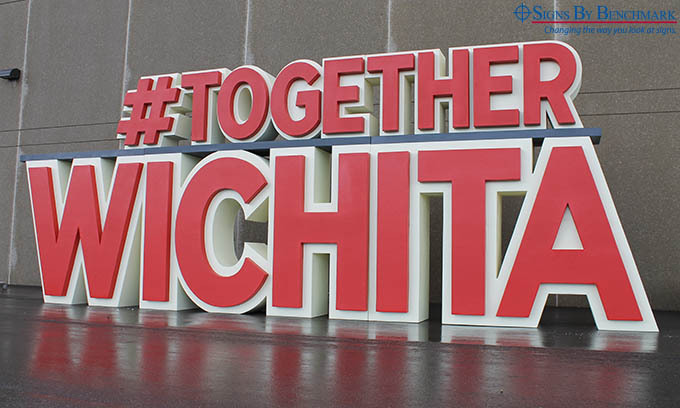 The organization’s vision came to life with the stacked #TogetherWichita letters acting as a mobile sign that stand nearly 12’ tall and 30’ wide. The foam-core mobile sign was debuted at a local art festival in September and plans to pop-up at other events in Wichita. The expanded polystyrene (EPS) foam core offers light weight while the polyurea hardcoat gives the finished product the durability to be handled and reused multiple times. If your organization or association is looking for an out-of-the-box approach to promote an event, business or project, call our team at 800-658-3444 or 605-886-8084 to discuss the endless possibilities of choosing a Signs By Benchmark product. 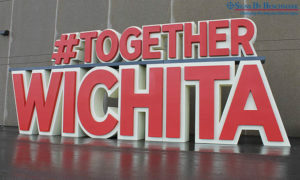 To see recent, candid photos of the #TogetherWichita mobile sign, search #TogetherWichita on social media, including Twitter, Facebook and Instagram. Click here to view photos of some Signs By Benchmark exterior or interior signs and sign accents components such as bases, pole covers, tops and architectural accents.